We specialise in all types of concrete cutting jobs, from precise core drilling to reinforced concrete or cuts in difficult locations. 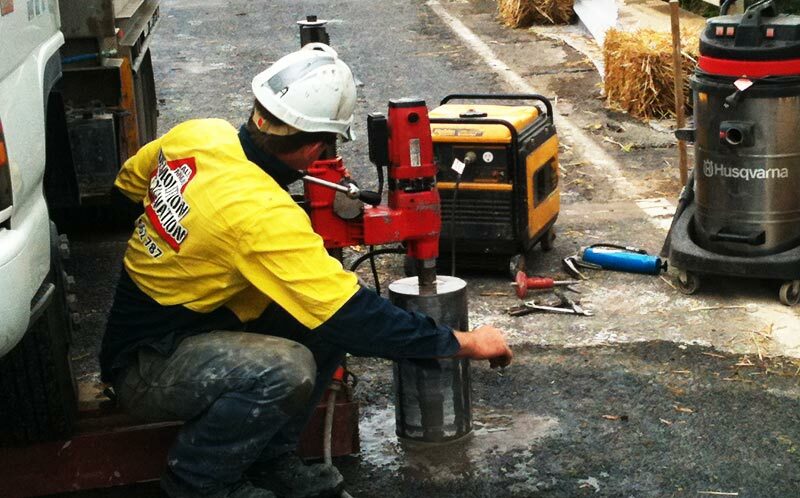 Our specialised core drilling equipment are capable of drilling precise, clean holes without damaging existing walls or floors. Our wall saws are capable of cutting any vertical or horizontal surface and our floor saws with diamond blades are capable of sawing through any surface from concrete to asphalt.